Launch Meeting | Why Not Manston? 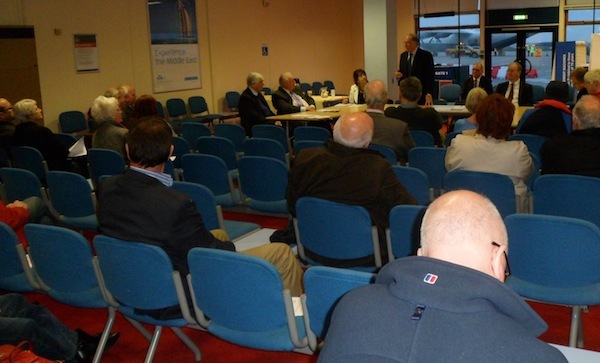 The Launch Meeting of Why Not Manston? 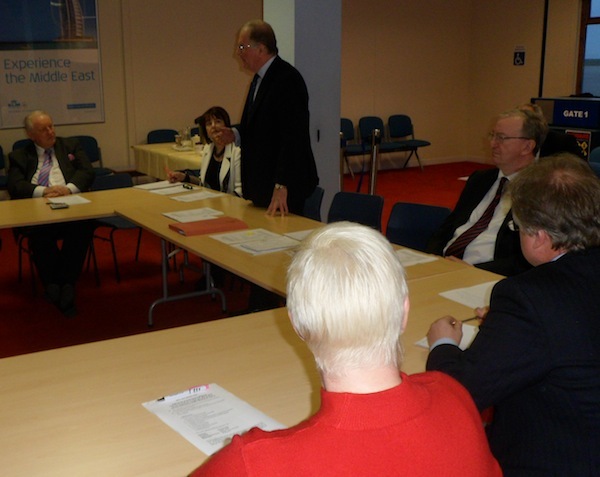 On Friday 15th March, Sir Roger Gale, MP for Thanet North, spoke in support at the first General Meeting of the new group “Why Not Manston?”. About 50 people attended. The Meeting of the group, which was started last August, was held in the Departure Lounge of Manston Airport, from which KLM flights will be leaving twice a day from 2nd April. Sir Roger wished the group well, and was sure that its establishment showed the amount of support Manston has from the people of East Kent. Answering questions, he felt that the proposed building of a link spur from the High Speed Line straight into Manston Airport, for a cost of £15 million, made infinitely more sense than spending £50 thousand million on building a new airport in the sea. The two photos are of part of the audience, the other of Sir Roger in full flow. For further details, ring Nicholas Reed at 01303 257 659, or email him at lilburnepress@hotmail.com.